Commonly known as “the Winmau”, it remains the longest running TV event of all by the same organisation. It was first played in 1974 and sponsored by Phonogram, with Winmau taking over in 1976. Players qualify by either winning an international ranking event, through their national team or via the British inter-county system. The Winmau is traditionally the place where new talents knock on the door. For many of the current best players, the Winmau was their first stepping-stone to world fame. Eric Bristow won the event 5 times, yet more evidence of his world supremacy during the early 1980’s. When talking about the World Masters, you surely cannot fail to mention Bob Anderson and Martin Adams, the only two players to win 3 times in a row (Anderson, 1986 to 1988 and Adams 2008 to 2010). John Lowe reached the final 5 times, winning twice. Dave Whitcombe, Stephen Bunting, Raymond van Barneveld and Glen Durrant also won this very tough championship on two occasions. Incidentally, Welshman Richie Burnett played in 3 consecutive finals, winning once in 1994. In 2012 Stephen Bunting became the first player to lift the men’s title after he had also been crowned youth Master in 2001. A very young Michael van Gerwen won this tournament in 2006, his first major tournament beating Martin Adams in the final. And once upon a time, a Belgian was strongest. If you look at the trophy you’ll see Erik Clarys as the winner in 1995. The only winner from outside Europe is Graham Hunt. The Australian won the tournament in 1997. One other notable winner is the 2017 Champion. 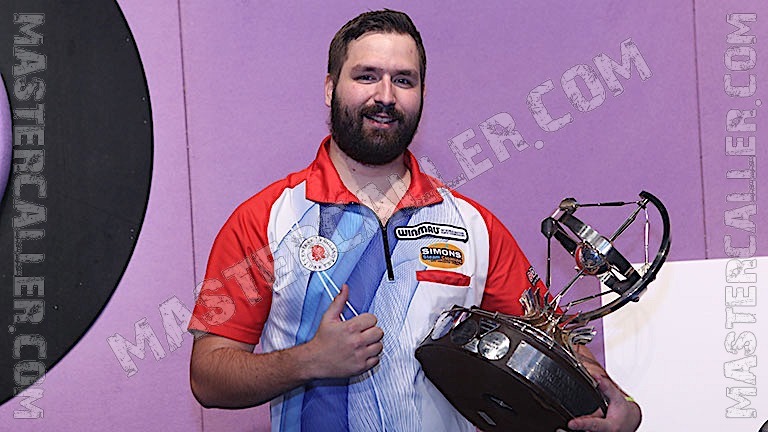 For the first time in history a non-English or Dutch native speaker wins the Winmau when Polish ace Krzysztof Ratajski lifts the trophy. The first 24 years of the tournament will be held at several locations in London. In 1998 moved the tournament for four years to Frimley Green to move into the Northeast of England to Bridlington in 2002. Between 2010 and 2015, the tournament is held in Hull to Frimley Green to return in 2016. A year later Bridlington is once again the host.